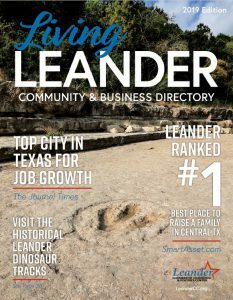 Leander was established in 1882 on land sold by the Austin and Northwestern Railroad Co. to prospective citizens. The town was named in honor of Leander “Catfish” Brown, one of the railroad officials responsible for the completion of the line. 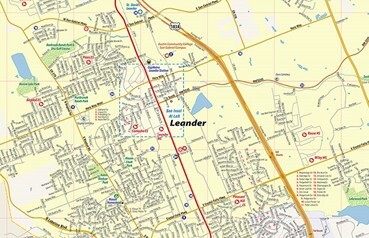 The railroad established Leander and today it is one of the only stops outside the city of Austin on the Capital Metro rail. To commemorate and honor both our past and future, the Leander Chamber of Commerce and Visitors Center is proud to introduce the Leander Trail of Trains. What is the Trail of Trains? The Trail of Trains is a project to bring artfully designed concrete trains to Leander, Texas. “The concrete trains are trademarked and will only be available through the Chamber. They are a unique and beautiful way to celebrate the heritage of our community! Our goal is to have a custom train in every corner of the community,” according to Bridget Brandt, Leander Chamber of Commerce President. The first train in the Leander Trail of Trains resides at the Leander Chamber of Commerce & Visitors Center, 100 N. Brushy, Leander TX. This train is the original cast and features the Texas State Capital, longhorns, and of course the beautiful starry skies over Texas. The train was painted by Jennifer Jones and mosaics were applied by Stan Holcomb. The Golden Track train resides at A+ Federal Credit Union, 11255 Hero Way West, Leander TX. This train blends concepts that intertwine our community and our financial institution. The beautiful Texas bluebonnets represent Texas’ state flower; while the gold tracks pay tribute to Leander’s Gold Depository. The coins and dollar bills throughout the train are symbols of our industry. Our youth savings club mascot, “AJ” the green apple, provides a friendly wave as you view our train. This train was painted by Rebecca Edwards. The concrete train project was created by the Leander Leadership Class of 2017 to bring Leander together as a community. Anyone can buy a concrete train, regardless of whether you’re a Chamber member, a business or individual, a local, or live a few miles away. Each 680lb. train costs $600, which includes applicable taxes and delivery by Cashway Building Materials or the City of Leander, as long as you’re located within a select delivery area. The trains will be delivered on a concrete track which serves as the pad. 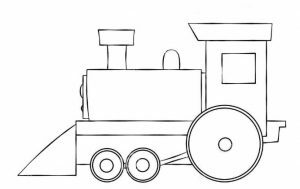 All trains must include an art plan prior to delivery. If you have any questions, please feel free to contact us at (512) 259-1907. Order forms are now available at the Chamber office located at 100 N. Brushy.